We are one of the largest mathematics schools in the UK, with more than 1,000 undergraduates, 150 postgraduates and 90 academic members of staff. We have a rich heritage and are proud of the education and research we conduct. 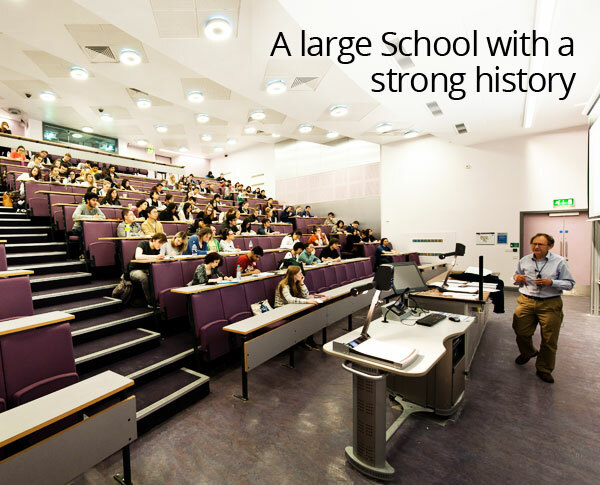 We are situated in the Alan Turing Building at the heart of The University of Manchester campus. Meet some of the eminent mathematicians who have worked with us. Find out more about the facilities the School has to offer.